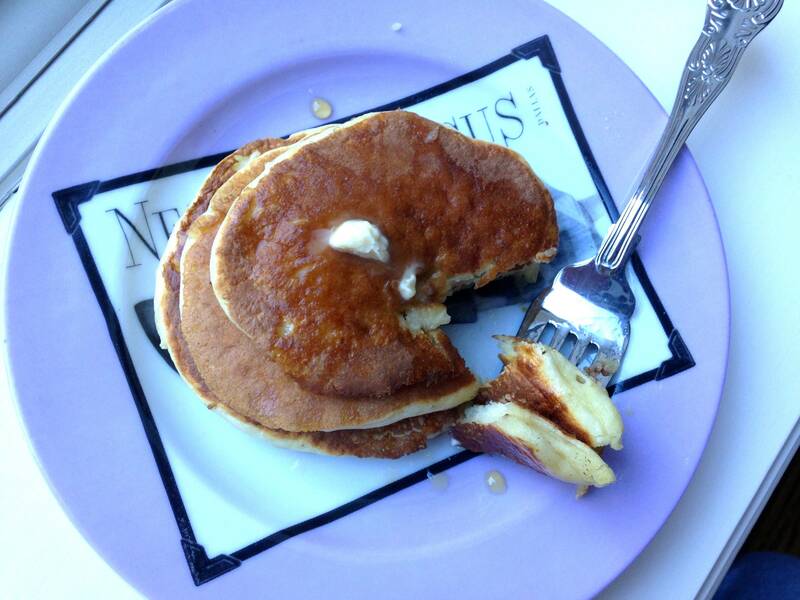 Breakfast is one of my favorite meals of the day, especially when pancakes and bacon are involved. 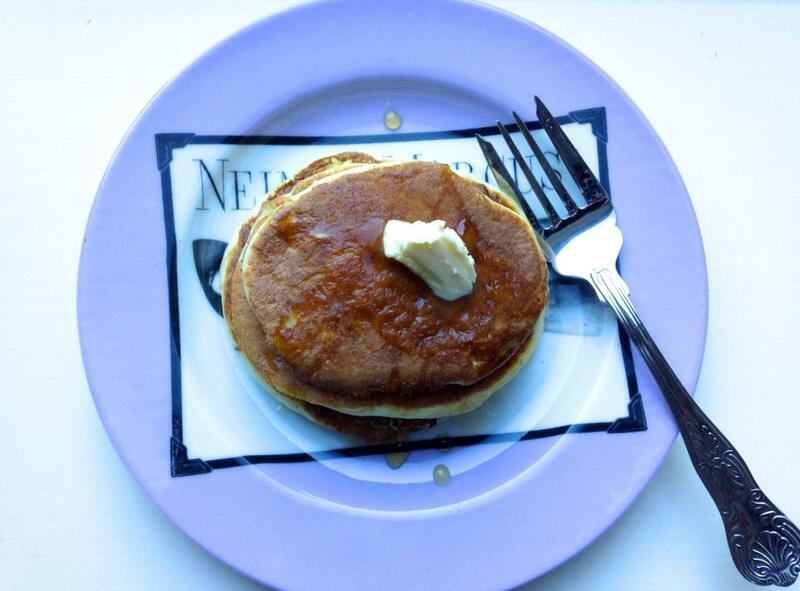 If you’re looking for a simple, homemade pancake recipe, this one is for you. Instead of buttermilk or milk, we used plain Greek yogurt, which adds a ton of protein and makes these pancakes extra thick, and healthy-ish. There’s no whole wheat flour or oats, so that’s why I added the “-ish”. Plus, when you add butter to them, you are adding some serious calories. 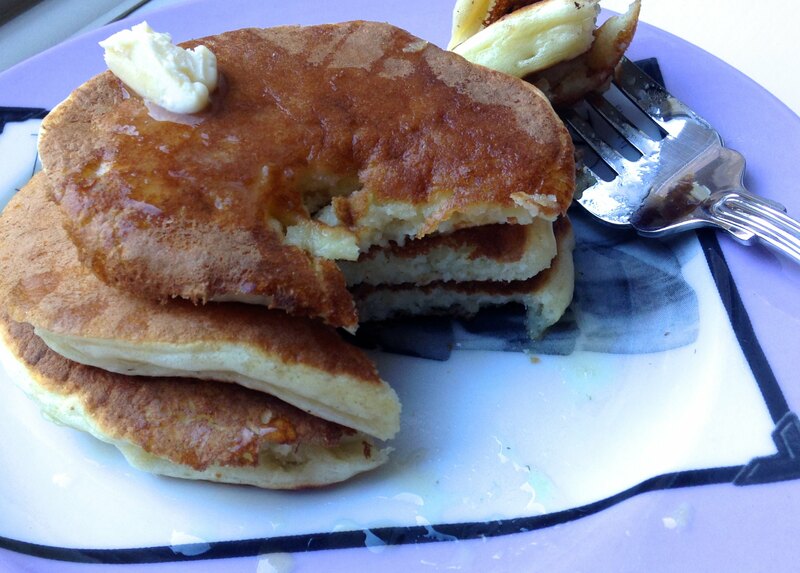 Even though we used Smart Balance and 100% pure maple syrup, these actually kind of taste like McDonald’s hotcakes. At least, that’s what my sister and I think. Brittany and I used to go to McDonalds for breakfast with my grandfather Poppy every time we visited him. Don’t worry, he lived 2.5 hours away, so it’s not like we were eating McDonalds for breakfast every day! 🙂 Brittany and I would get a sausage biscuit and orange juice, while Poppy would order the big breakfast with hotcakes. Brit and I would each try a bite of Poppy’s pancakes, who wasn’t shy about topping them with butter and syrup. 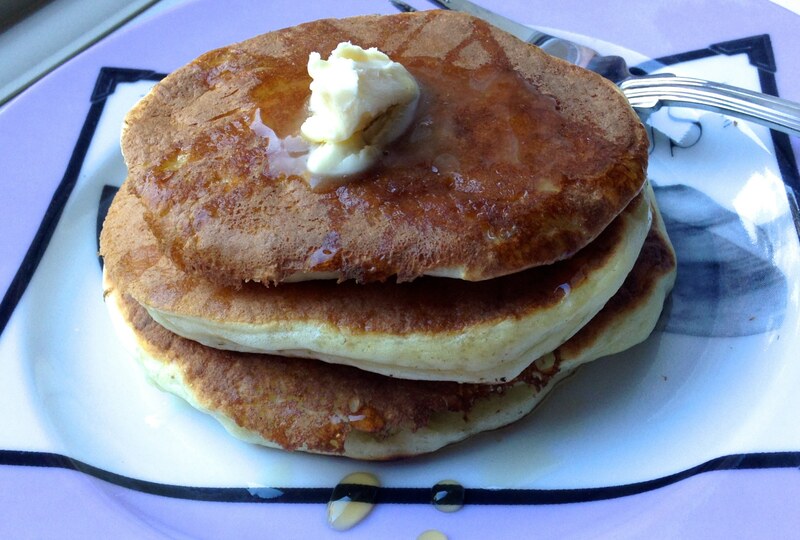 Weird as it may sound, I actually never eat pancakes with butter on top, but for the photos in this post, I thought I’d add some. I think I could have added butter and syrup on top of anything, and it would have tasted like those hotcakes just because I wasn’t used to it. I can definitely see why people add butter…. but I probably shouldn’t start that bad habit up!!! Haha. In a small bowl, combine the flour, sugar, baking powder and baking soda. In another bowl, whisk the eggs, yogurt and water. Stir into dry ingredients until just moistened. 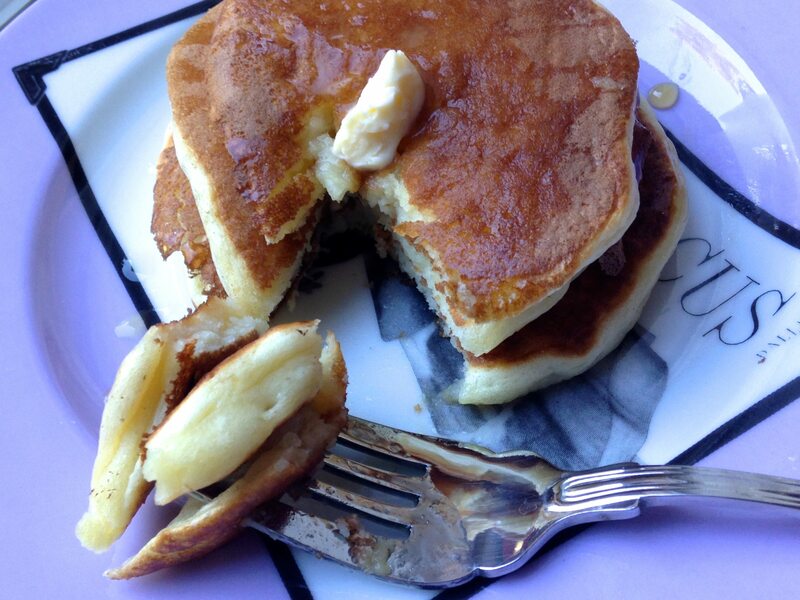 Pour batter by ¼ cupfuls onto a hot griddle coated with cooking spray. Turn when bubbles form on top. Cook until the second side is golden brown.